The omega-6 fatty acids are essential fats necessary for our good health. But when you eat too much of it and too little omega-3, your good health will begin to suffer. Serious conditions can arise – examples being a weakened immune system, cardiovascular disease, high blood pressure, high cholesterol, asthma, arthritis, and cancer. Another problem is in how these fats are processed. The polyunsaturated fats found in vegetable oils are fragile and can quickly become laden with free radicals when treated improperly. But don't assume that these are "bad" fats, because it's simply untrue. We just need to eat the right ones in balance with the other essential fats, the omega-3s, to reap the maximum health benefits. For an explanation on this balancing act - check out more general information about the omega fatty acids. So what are the main sources of the omega 6 fats found in our diets? 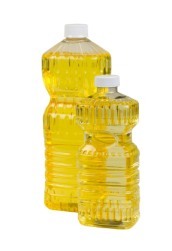 This includes corn oil, soybean oil, safflower oil, sunflower oil, cottonseed oil, palm oil, etc. Is it any wonder most of us are eating way too much of this essential fat...? If you do wonder, go check the ingredients in the processed foods in your fridge and pantry! It should become clear why processed foods are not healthy foods. Most health experts would like to see us eating the omega-3's and 6s in a 10 to 1 ratio. That's ideal, but quite difficult to do. Eating four times as much omega 6 than omega 3 (a 4:1 ratio) is also considered fine. Typical Western diets can range anywhere from 10:1 to 50:1, so cut back on those potent vegetable oils. Instead try to get your omega-6 from whole grains, nuts and seeds. And increase your consumption of the healthful omega-3 fats. 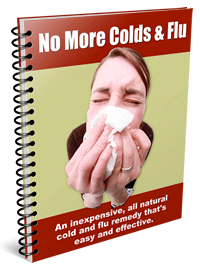 Your body will thank you by keeping you and your immune system strong and healthy.